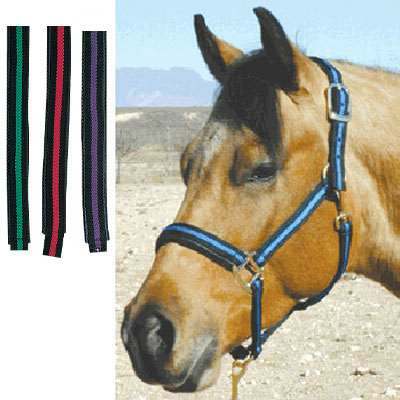 This nice Nylon halter comes with a padded cheek, crown and nose. Color: Blue,Green,Purple,Red, Silver, & Gold. All colors are offset by Black Nylon.